I never expected to be delving into the incredibly deep and complex world of autism and neurodiversity when I suddenly landed in a wheelchair in early 2012 at 45 years old. I had remained blissfully ignorant of most of its complexity, thinking of it only as something else others had to deal with since I had no children. That said, I always struggled to fit in, and battled many of the common comorbidities along the way, as I tried to pass as a “neurotypical” female. In fact, I’m now convinced this lent to my onset “cascade” of 2012 from so much accumulated stress of trying to pass, and not pass out (heh). Well, fast forward a mere 12 months, and no less than 3 people asked me if I had Asperger’s! Uhm, well, no, not officially, but it left me wondering, so I took a deep dive, and have since come to realize that it appears to be highly comorbid with connective tissue disorders involving hypermobility, and also Mast Cell Activation Diseases. Why, we don’t yet fully know. Yes, I’m keenly aware the formal diagnosis of Asperger’s was taken away by the DSM-V in 2013, but some in the community still refer to it, although this seems to be falling out of favor in 2018. I now consider myself a likely “Hidden Aspie” or “autistic cousin”, but realize this is not an official diagnosis, and some will take issue with that. I will stick to my conclusion however, as the historic description of Asperger’s resonates extremely deeply with me, and I’m also aware of my entire family history, and you are not. At a minimum I would call myself “neurodivergent” now. I’m also getting NO support thank you very much, so trust me, I’m not taking anything away from anybody. Nay, I could use some in fact. Further, I found it extremely commonly comorbid in the EDS & MCAD support groups I landed in, both on and off line, and continue to the longer I observe the groups. One on Inspire has over 30,000 members in it alone, another on Facebook has 20,000, so a decent sample size even subtracting for some over-lap. Everyone seemed to be either on, living with, or related to someone on the autism spectrum , or showed subclinical signs of neurodiversity as I had. I did not give this too much weight until Dr. Theoharides began to correlate MCAD and autism as well as I learned in 2015. So either we’re onto something, and whatever drives hypermobility and MCAD also likely drives neuroplasticity and neurodivergent development, or we’ve got one heck of a coincidence on our hands. I’ve since added it to what I’m calling the “Chronic Constellation” for lack of a better term. Interestingly, the most common form of EDS, the hypermobile type still has no single gene identified as the cause yet, much like the great majority of so-called “high-functioning” (essentially, verbal, or more “neurotypical” in presentation to be more precise/i.e. less easily recognized or “less visible”) autism doesn’t either. I find this latter often alternatively (and likely mis-) diagnosed as any combination of the “Subclinical Alphabet Soup” I find of: ADD, ADHD, SPD, OCD, BPD, NPD, depression and anxiety among other things. And if you are new to EDS and hypermobility and wondering whether to suspect it, you might check out this page. And see this page to suspect comorbid MCAD. Please note the list below does not constitute endorsement of any particular view or treatment, nor am I espousing a “cure” for autism now, only support. I’m seeing arguments on both sides for both “recovering” children via nutritional therapy and support, and “backing off”, at least with forced behavioral therapies. As I’m so new to this world, I’ve been sort of receiving a crash course and having to madly catch up with the latest in thinking, and have found a very confusing array of sources and views to sort through, all purported “experts”, autistic and otherwise. Since some autists I follow on Twitter trigger to the word “recover” or “recovery”, and almost all to the word “cure”, I am omitting a couple of well known sources and sites accordingly. I admit to following the better known names and louder voices at the start and thus getting a view biased toward curing and compliance accordingly. I am slowly but finally recognizing the need to give autistic persons increasing autonomy and agency over their bodies and minds, just as we all want. And to presume competence, even if they can’t display it readily via the usual means or in the usual time frame. Dogs don’t bark for no reason – we don’t stim/cry/melt down/bang/sing/want to spend time alone etc. for no reason either. I’m increasingly convinced in 2017 that a stance of following and observing more than pounding into compliance (for all people) results in better outcomes for all, including exhausted parents. I’m now focusing on the words “support” and “acceptance” more than “awareness” (which seems to imply a pathology or something to “beware” of) accordingly. 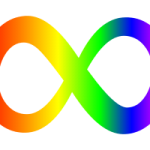 As someone in my group just pointed out, neurodivergence itself is really also just a trait, like hypermobility or red hair color, or gender identity. Let’s start loving and accepting each other in all of our various beautiful human forms and styles. Stop judging all who are different. Thank you to all my patient teachers “out there”, and your continued patience as I continue to navigate these deep waters and come to a fuller understanding. I’m also slowly learning to boost actually autistic voices and will eventually sort the links below into “About autism” and “By autists” or the like. Update August 2017: I’ve just re-sorted my links and am putting the ones BY autistics first, to signal boost their often drowned out voices. I’ve only recently become aware of my own internalized ableism, so appreciate everyone’s patience as I slowly reframe both my own life and what I think about autism in light of this dawning understanding. I would urge all parents, therapists and seemingly “neurotypical” people or NTs to read these links first also. The second group of links are more “about autism and autistics” and often by NTs, parents and well-meaning people who are still trying to pound square autist pegs into round NT holes so to speak. In other words, make them mask their behavior and conform to society’s majority neurotypical norm. This would be like asking you to be more introverted if you happen to be an extrovert. Or to be gay, if you’re straight. Left handed if you’re right handed. And vice versa. It’s just not who you are. So let’s allow autistics to be who they are, try meeting them at least half way, and focus more keeping them safe and happy, versus passing for neurotypical for our comfort. 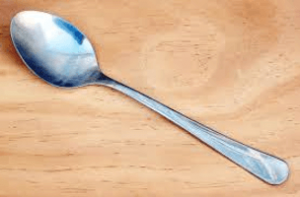 Five Things Autism Parents Wish They Would Have Known – A. Stout blog – I posted this here, as I don’t know if the autho is autistic themselves or not yet, but… it was so autism-friendly I wanted to include it in the “for autistics” section. 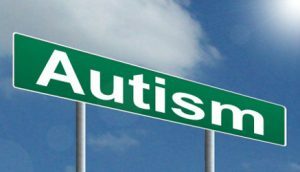 This section is much more biased toward parents and neurotypicals, and their views of and about autism and autistics, which the latter may find triggering, since they are not usually consulted. I confess it may reflect my still evolving formerly more ableist POV of autism as a pathology, as that’s how I was raised, and which I am still shedding. (Thanks for your patience!) I’ll be including a small section on ableism shortly too once I’ve compiled it. Please take all you read with a grain of salt and keep an open mind. Are you a Hidden Aspie? Google will net you many many more resources on autism and related/comorbid disorders (ADD, ADHD, OCD, depression, anxiety). Please send suggestions and q’s to: info@ohtwist.com thanks. Or use the contact form provided in the menu.